In the deep region of Himalayas, people are reporting strange behavior in children. They are using sign languages that is unknown to their families and any one around. Many of them draw pictures of triangular objects flying in the sky. Many of them do not know what they saw and how they learnt these sign languages. According to UFO research material, some Mexican children also manifested similar behavior when many in the area reported UFO sightings for a long time. 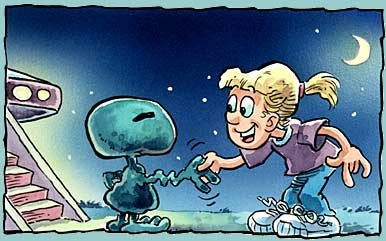 The extra terrestrials communicate with children first because they are always easy to become friends with.. They teach children the sign language they can understand. The locals in the area believe UFOs are visiting the area for thousands of years. It stopped for a while and now it has started! The Indian and Chinese local authorities are indifferent sighting the fact that every thing is perfectly normal – children often use strange behavior to play among themselves ! what ignorance on d part of government?!!! or are they really trying to fool d people?